Breath and Movement Sessions Start Saturday February 17, 2018 at 8:30am! Deep breathing exercises just might save your sanity. And if you’re not taking deep breaths, you could be missing out on one of the simplest ways to drastically improve your health. Deep breathing exercises are a foundational principle of managing life’s stresses. Whether you experience negative emotions or physical pain, the body responds in a similar way every time. You may experience a rapid heartbeat, tightening muscles, dilated pupils and perspiration in addition to short, quick breaths. This is may not only be an instinctual reaction, but a habit the body has developed over time in response to stressful situations. And any time you feel a twinge of anger or anxiety coming on, the body starts pumping out the juices (namely adrenaline and cortisol) that fuel this response once again. This kind of physical reaction is tied to health problems like cardiovascular disease, insomnia, hypertension (high blood pressure), indigestion, increased infections and autoimmune disease. Fortunately, we are starting our breath and movement sessions Saturday February 17. 2018 at 8:30am with Instructor Toni J. Reserve your spot below by clicking on the link! Instructor Toni’s journey began when she was a teenager while being introduced to yoga by her mother. 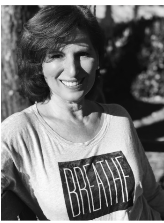 Naturally feeling a connection and love with the practice of yoga, breath and movement, Toni has a natural teaching style that welcomes all levels. However like most of us; career, marriage, kids and a relocation from Boston to Atlanta, sometimes made the daily discipline difficult. After reflection, she soon realized that the benefits of yoga, breath and movement helped sustain her emotionally, mentally and, physically, which infused her with the energy and mindfulness she needed to manage the challenges of an increasingly stressful world. Toni completed an intensive 200-hour yoga teacher-training program and is now bringing her amazing energy to Fitness Studio 108 every Saturday at 8:30am for group sessions and available for private one on one sessions as well. Please welcome Toni!